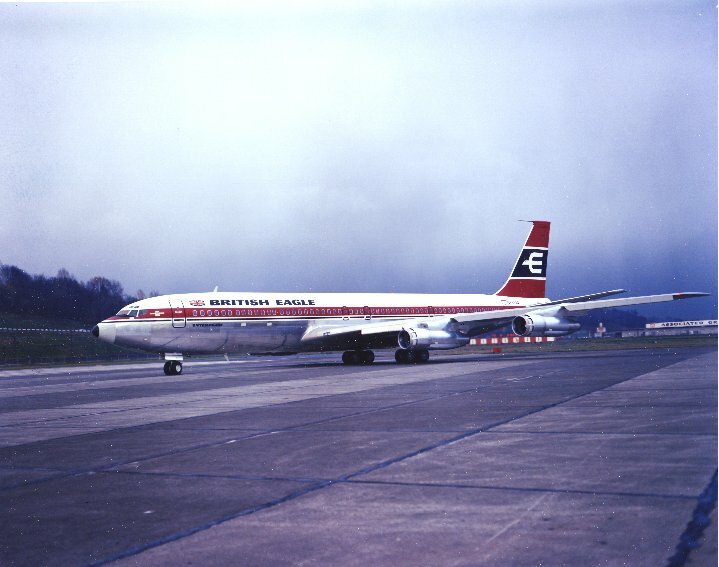 Delivered to British Eagle International Airlines Ltd on the 21st December 1967, but remained in Seattle until being registered as VR-BCP on the 4th February 1968. It was leased to Middle East Airlines Ltd between March 1968 and November 1968. Sold to BOAC as G-ATZD on the 6th December 1968. It served with 10 operators until purchased in June 1977 by the Argentine Air Force as LV-WXL.